Arthur Calwell (1896-1973) came from humble beginnings. He was an ardent unionist and a strong advocate for workers’ rights, who was a union leader and a leader of the Australian Labor Party. “Thanks to the far sightedness and courage of Australian statesmen of an earlier age, they have been foiled once, and the people of this nation would reject them scornfully if they raised their voices aloud in opposition to our selective immigration policy. They must approach the matter slyly, using innocent words like “modify” and “discretion” to hide their real desire to break down our policy until it becomes unworkable and collapses. They must, and do, make the maximum use of well-meaning but muddled sentimentalists, and of their own very willing mercenary, the reactionary and circulation-hungry, irresponsible monopoly Press of this land. “Introduction of a quota would simply be a form of appeasement — and appeasement has never solved any problem. There can be no half-measures in a matter such as the maintenance of the White Australia policy, on which Australians hold such emphatic views. The ideal that this country, which was settled and developed by Europeans, should remain predominantly European was sponsored by our forefathers, and has had the unwavering support of all good Australians ever since.
. . . Underlying the White Australia policy is no suggestion of racial superiority. It began as a positive aspiration, and from it has resulted a positive achievement. 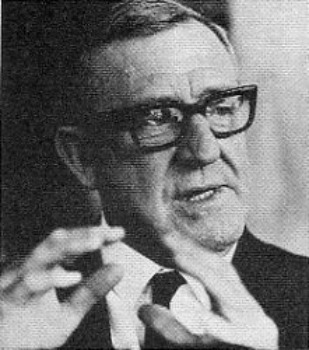 Calwell became the leader of the Australian Labor Party in 1960, a position which he held until 1967. During that time he had to fight off the termite-like machinations of those who continually sought to undermine and destroy the White Australia policy. Whilst the Labor Party had originally been founded and developed by working class people, who had gone through the hard struggle for workers’ rights and were salt-of-the-earth unionists, the train of ideals which kept the Labor Party going in its original direction was about to be derailed by a new class of laborite, a type which was far removed from the original true and decent Australian labour traditions. 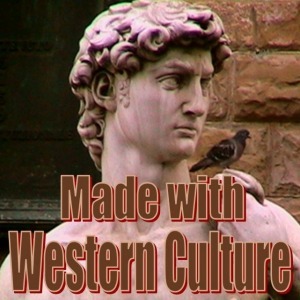 In the 1960s and 1970s a new wave of people joined the Labor Party, mostly those who had been through the brainwashing process of a globalist-leftist university education, and who felt little or no affinity with their own people, but were one-world globalists and multiculturalists. Such people had begun to infect not only the Labor Party, but the Liberal Party as well. In the book, Calwell explained that his oft-quoted line “two Wongs don’t make a White” was not a racist slur directed against Asian people, but was a jibe aimed at Thomas White, a politician from the Liberal Party. The misquotation of his humorous remark was continued throughout his life, and even after his passing. It was a jocose remark, made partly at the expense of the member for Balaclava, who was at the time the Hon. T W (later Sir Thomas) White. I expected that I would have been correctly reported, as I was in Hansard, and that the initial letter ‘W’ on both the names ‘Wong’ and ‘White’ would have been written in capitals. But when the message got to Singapore, either because of some anti-Australian Asian journalist or perhaps because of some Australian pressman with a chip on his shoulder, a Labor Party hater, the name of White was deliberately altered into a definition of colour, so as to read ‘two Wongs don’t make a white.’ The story has lasted to this day. I have often answered questions about it from young Chinese students at universities in Melbourne and Sydney. I notice whenever a reference is made to it in newspapers or periodicals, or whenever the quotation is used anywhere, the Singapore abomination is generally repeated. Latterly the true version is being printed. The “two Wongs don’t make a White” remark really had nothing to do with race as such, as it was just a play upon words which was meant as a humorous pun. “Some people call me a racist because I am proud of the blood that flows through my veins. I am proud of my white skin, just as a Chinese is proud of his yellow skin, a Japanese his brown skin, and the Indians of their various hues from black to coffee-coloured. Anybody who is not proud of his race is not a man at all. And any man who tries to stigmatize the Australian community as racist because they want to preserve this country for the white race is doing our nation great harm. Those who talk about a multi-racial society are really talking about a polyglot nation. Some people talk about a multi-racial society without knowing what the term really means, while others talk about it because they are anxious to change our society. No matter where the pressures come from, Australian people will continue to resist all attempts to destroy our white society. I reject, in conscience, the idea that Australia should or can ever become a multi-racial society and survive. . . . If Australians are ever foolish enough to open their gates in a significant way to people other than Europeans, they will soon find themselves fighting desperately to stop the nation from being flooded by hordes of non-integratables. Then we will also need a Race Relations Board. None is needed now. A Race Relations Board is necessary only where there are racial problems and racial tensions.
. . . Every country has the inalienable right to determine the composition of its own population. . . . The question of morality or ethics does not arise and cannot be artificially created.
. . . Powell has been saying what millions of white Britons think, and I believe. . . . The non-Europeans who are troubling the United Kingdom today will always be ‘chip on the shoulder’ citizens. Some of them will always be unhappy misfits while others will become ‘black power’ happy. The British, more than any other people, erred badly in allowing so many Asians and Africans to settle in their country under the guise of being British citizens. Whilst he was all for a White Australia, Calwell was not a “race hater” or “racist”; in fact, he had very cordial ties with Melbourne’s Chinese community, and had learnt Chinese so as to be able to converse with them. Calwell understood that seeking to ensure the survival of one’s race did not mean one had to hate any other race; however, the hate-filled Multiculturalists commonly slandered Calwell as a “racist”, either due to their own sheer ignorance and bigotry, or because such lying slander was useful to them as a propaganda tactic. Calwell had a vision for Australia of a land with a large White population, numerous enough so as to be able to defend the country from outside threats, with a way of life based upon social justice for the common people. He worked hard to encourage British and European immigration, and for the continuance of what he called “the sacred cause of White Australia”.9 Unfortunately his legacy was betrayed by usurpers within the Labor Party (such as Gough Whitlam) and undermined by traitors outside of the Labor Party (such as the Liberal Party leader Harold Holt). 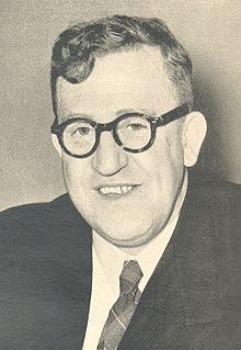 Arthur Calwell devoted his life to the Australian people. We can only hope that the fair dinkum Australians will awake from their stupor and throw out all of the usurpers and traitors from their positions of power, return power to the people, and save the future of Australia. 2. Graham Freudenberg, op. cit.